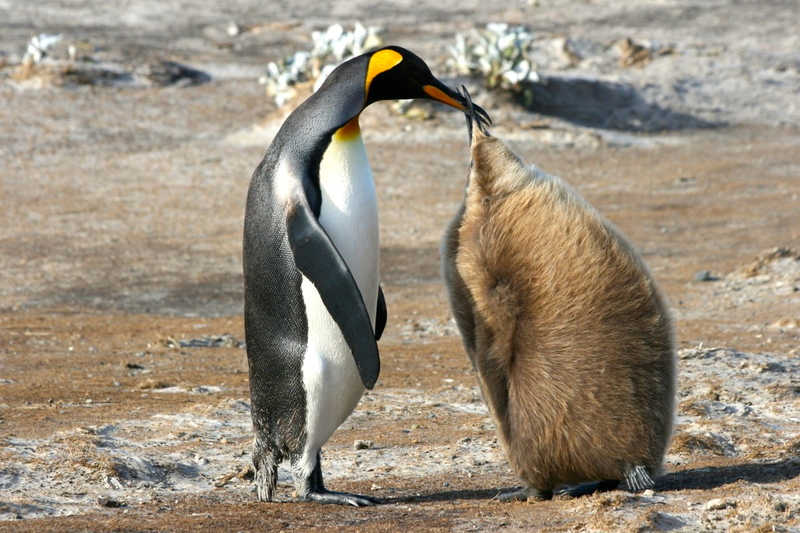 A mother King Penguin feeds her yearling on South Georgia Island. When our children were born we felt not only a great warmth of love for them, but also a great responsibility of care. When they were infants, that care was pretty simple and straightforward if not always easy. Half the battle was figuring out what exactly they wanted or needed when their only form of communication was cries, grunts and burps. As they grew, so too did their needs and, fortunately, their ability to communicate. I refer to our child rearing years as the lost decades. Not because I didn’t cherish every moment, but rather that the events of the outside world were muted in comparison to our focus on our family. Our goal as parents was to insure that our children felt loved and safe. But it was also important that they acquired the skills to become self sufficient, contributing members of society. Thankfully, our efforts were rewarded. They both have their college degrees, meaningful careers, and live independently. They have lots of friends, volunteer in the their communities, and communicate with us by phone, email, or Face Time regularly. I couldn’t be prouder of the adults they have become, it’s just that they are so far away that we don’t get to see them as often as I would like. One lives clear across the country and the other halfway around the world. It is not always practical, easy or even possible for them to visit us. But the good news is they are happy to have us visit them. Even with the distance between us, we try to see each of them at least once a year in person and arrange for all of us to be together at least every other year. Sometimes we meet somewhere in the middle, but the important thing is we are together. While there are so many ways in this day and age to instantly communicate with one another, nothing can compare with the closeness of being physically present. Those are the times I cherish the most. This entry was tagged Communication, Family, Parent, physically present. Bookmark the permalink.